Driven by continuous installation increase in automotive manufacture, electrical and electronics industry, as well as fast growing applications in other industrial production, global annual demand for industrial robots is expected to reach 553,000 units in 2020 to set up a new history high. Consequently, the operational stock of industrial robots is forecast to grow at a 2015-2020 CAGR of 12.3%, which will increase the industrial robots in use from 1.658 million units in 2015 to a new peak total of 2.96 million units by 2020. Global Industrial Robots Market - Analysis and Outlook to 2020 examines the worldwide market of industrial robotics and autonomous machines through a comprehensive review and analysis of information sources. 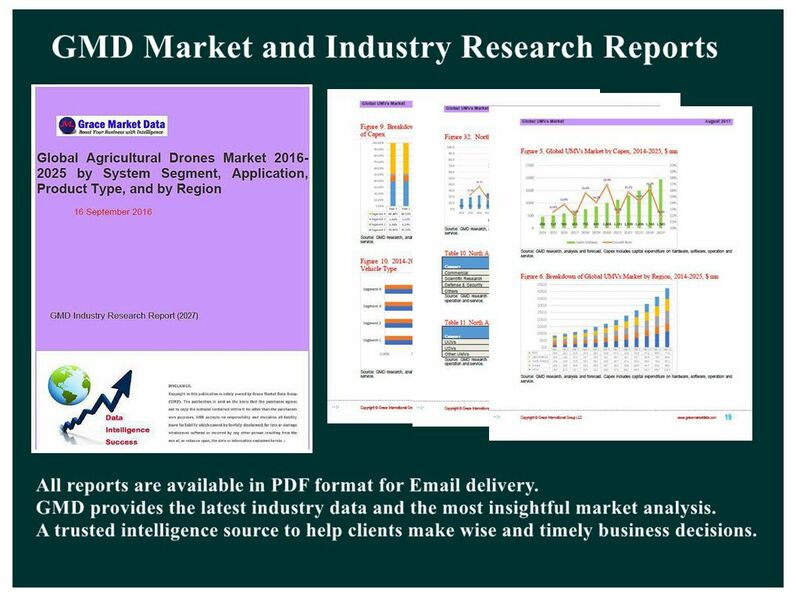 After reviewing market environments in the world, this report provides qualitative analysis of market forces, quantitative studies of worldwide industrial robots market by application and industrial sector, and in-depth research of global geographic markets. In most analysis, historical statistics together with market outlook cover the 2012-2020 period. Qualitative market analyses include identification and discussion of growth drivers, restraints and challenges, emerging market opportunities, Porter’s Fiver Forces as well as M&A landscape and fund raising trend (IPO and VCI). Worldwide industrial robot markets by application compose of robotic manufacturing solutions in Automotive Industry, Electrical and Electronics Industry, Basic Metal & Machinery, Plastics & Chemicals, Food & Beverage, Pharmaceutical & Cosmetics, and other industrial sectors. Automotive and electrical and electronics manufacture have been so far attracting the majority of new installations while applications in other industrial manufactures are gearing up. Geographic sub-markets include regions such as North America, Europe, Asia Pacific region, Latin America and the rest of world, with 15 country-based markets analyzed in detail for market overview, industry landscape, and developing trends. Asia-Pacific region remains the largest market in global industrial robots sector in terms of sales volume as well as total revenue, followed by European market and North America region. APAC also holds the strongest growth potential for the future industrial robots market with China and Southeast Asian countries expected to be the driving engines for the growth. Robot density in automotive industry and non-automotive industries, and industrial robot density in key economic markets (on country basis) are compared and analyzed. The market data and forecast trends are highlighted by 6 tables and 44 figures. The global leading providers of industrial robots in 2015 are listed and profiled.